Reggie Jackson, head griot of America's Black Holocaust Museum, speaking with Lake Effect's Joy Powers. 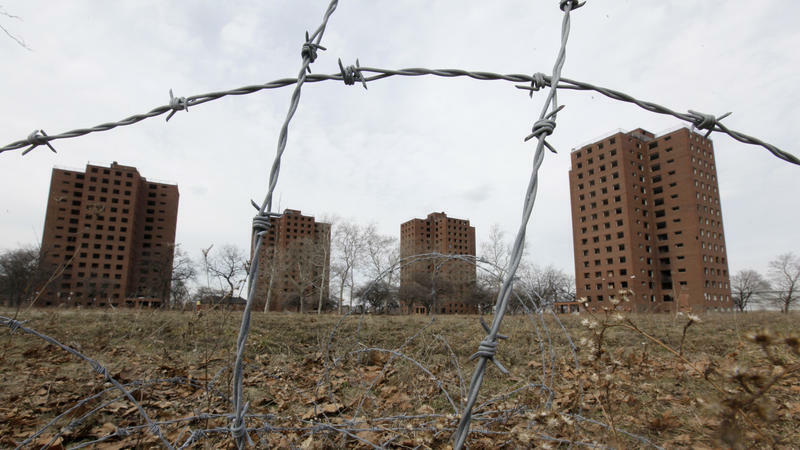 Milwaukee is known as the most segregated city in America. But often, that designation raises more questions than it answers. Growing up in Milwaukee, Reggie Jackson saw the signs of segregation all around him, even when he didn't recognize them. Going to public schools in the city, Jackson says he didn't have class with any white students until he started commuting to high school, a subject-specific school on the south side of town. "It's been a, just an eye opening experience for me. There were a lot of things that I thought were true that weren't really true; a lot of things that I knew about, but didn't know about them in-depth and when I dug into them I was really, really surprised by some of them." 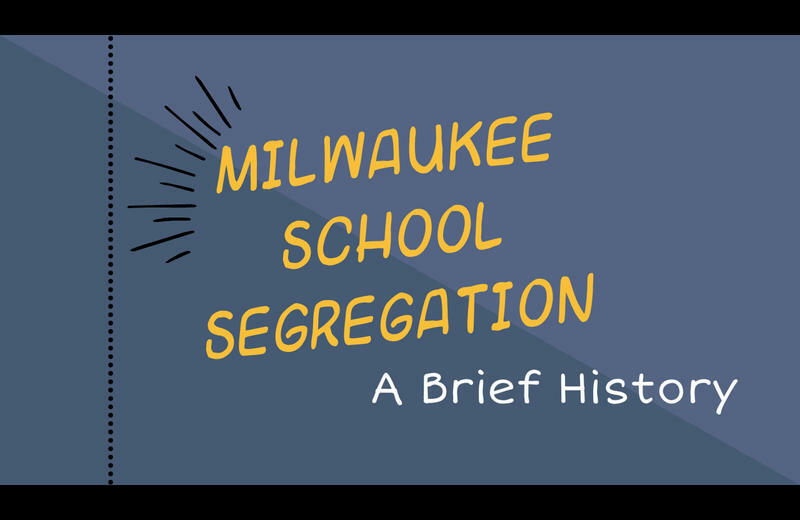 The school was part of a city-wide initiative to desegregate Milwaukee Public Schools by creating magnet schools that specialized in certain subjects. The move was prompted by a federal ruling which found that despite Brown v. Board of Education, Milwaukee schools weren't doing enough to desegregate. 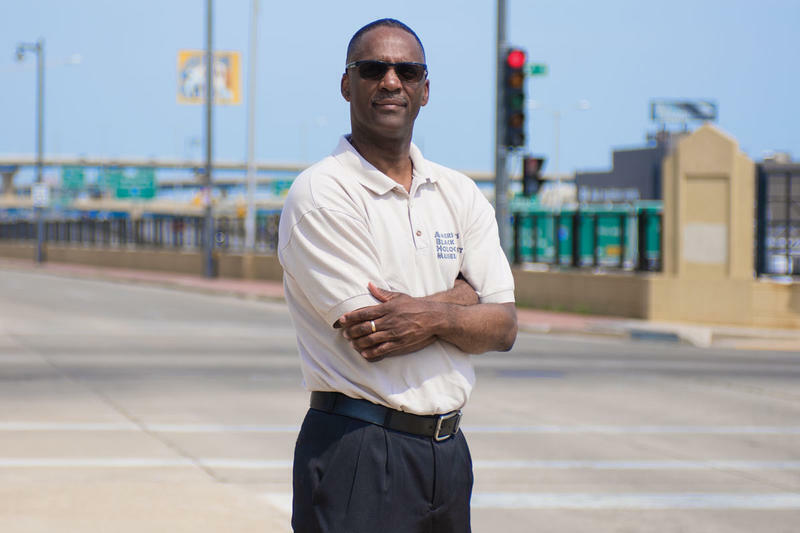 There were other less obvious signs that Jackson says he's been able to recognize through his own research into the roots of segregation in Milwaukee, a project that has led him to become one of the main authorities on the subject. "It’s been a, just an eye opening experience for me. There were a lot of things that I thought were true that weren’t really true; a lot of things that I knew about, but didn’t know about them in-depth and when I dug into them I was really, really surprised by some of them," he says. For the past year, Jackson has been giving public presentations on the city's history of institutional segregation, the effects of systemic racism, and the reality of modern segregation in Milwaukee. He has presented his research at libraries and other venues throughout the city, often in primarily white neighborhoods and to overflow crowds. "I think people are really very interested in this history," he says. "Before they made the decision to not build a freeway they had already gotten all of those homes and torn down 1,500 homes to build that freeway." Despite his work as the Head Griot of America's Black Holocaust Museum, Jackson found he had his own misperceptions about the history and legacy of racially biased practices in Milwaukee. He points to a specific example from his childhood of how institutional racism literally transformed his neighborhood. As a teenager, he and his friends would look for large, open areas to play football. There was no shortage of them in his area, but he didn't know why there were so many open fields. "I didn't know at the time why there were these wide open spaces, these empty blocks... And I discovered as I was doing the research for this project that in the late '60s there was a plan to build a freeway that would've been known as the Park West Freeway," he explains. "The sad thing about it is a lot of those spaces, to this day, are still just empty blocks that people drive past and they have no idea why the blocks are empty." The freeway was never built because of protesting from the community. "But before they made the decision to not build a freeway they had already gotten all of those homes and torn down 1,500 homes to build that freeway. So all of those empty spaces that we played in used to be residences," says Jackson. This was a common occurrence in large U.S. cities, where highways were often added after a city's structure had already been established. In Milwaukee, large portions of black communities were demolished in the name of progress, only to remain empty decades later. "The sad thing about it is a lot of those spaces, to this day, are still just empty blocks that people drive past and they have no idea why the blocks are empty," says Jackson. 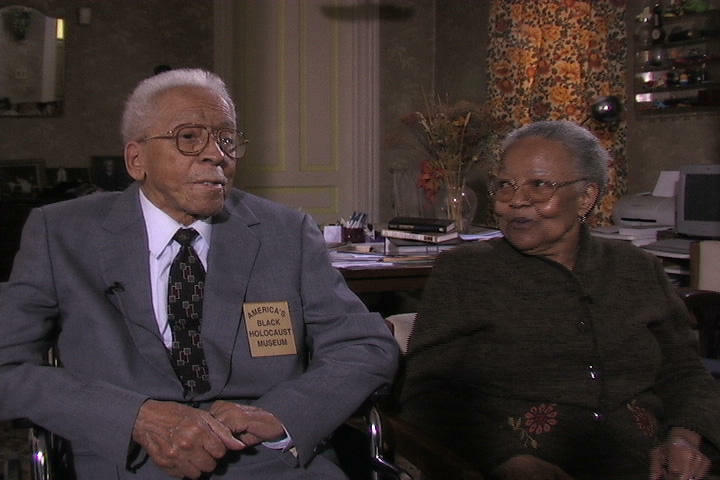 America's Black Holocaust Museum was founded by James Cameron, one of the only known survivor of an attempted lynching. The physical space was shuttered in 2008 and continued on as a virtual museum. Now, it's opening a new space in Milwaukee's Bronzeville neighborhood, another area devastated by freeway construction in the '60s when land was obtained through eminent domain. "The museum is... dedicated to a hidden part of our history, a part of history that's kind of ugly and hard to talk about." The museum's name was inspired by Cameron's trip to Yad Vashem in Israel, which pays tribute to the millions of lives lost in the Holocaust and the people who helped Jews flee the Nazis. America's Black Holocaust Museum encompasses everything from the history of the first Africans who arrived as slaves in the United States, through the Civil War and Jim Crow, to mass incarceration and police brutality. "The museum is... dedicated to a hidden part of our history, a part of history that's kind of ugly and hard to talk about," says Jackson. While most U.S. history classes cover part of Jim Crow, Jackson says there is a lot that the general public doesn't know about that time period. "That's probably the least known part of American history, the period from the 1880s through the 1960s," he says. "1919 is known as 'Red Summer.' There were 25 major race riots where whites attacked black communities, looted homes, looted businesses, destroyed homes and businesses, killed black people." He continues, "We talk about the race riots that occurred, whites attacking black communities in the early 1900s right after World War I. 1919 is known as 'Red Summer.' There were 25 major race riots where whites attacked black communities, looted homes, looted businesses, destroyed homes and businesses, killed black people." The museum also details the history of lynchings in the United States. Although lynchings were a fairly regular occurrence since the founding of the country, the practice became racially motivated and more deadly after the Civil War. "This lynching that occurred on a massive scale beginning in 1880s was primarily done specifically to make sure that blacks didn't have a sense of themselves that was a positive sense of themselves," says Jackson. "So the degradation that came with lynching, you know, it wasn't just the fact that they killed people. They humiliated them, they tortured people, they cut off body parts as souvenirs... That became a norm in the country for about 40 years." "Dr. Cameron's mission was very simple: to dig up this history and make it available for people... then work on using that information to develop a process of healing." In looking at some of the hidden history of race-relations in the United States, the founder was hoping to foster more community conversations about how to move forward from these atrocities. "Dr. Cameron's mission was very simple: to dig up this history and make it available for people who came to the museum and have conversations about it and have conversations about the impact of that particular history and then work on using that information to develop a process of healing," says Jackson. Reggie Jackson was featured in an article in this month's Milwaukee Magazine. Lynchings of African-Americans were not uncommon in the United States, well into the last century. But like much of the history of racial tensions in America, the common notion is that these extrajudicial murders just happened south of the Mason-Dixon. In 1933, faced with a housing shortage, the federal government began a program explicitly designed to increase — and segregate — America's housing stock. Author Richard Rothstein says the housing programs begun under the New Deal were tantamount to a "state-sponsored system of segregation." The government's efforts were "primarily designed to provide housing to white, middle-class, lower-middle-class families," he says. African-Americans and other people of color were left out of the new suburban communities — and pushed instead into urban housing projects. “Segregation is not an accident,” according to Reggie Jackson, the head griot for American’s Black Holocaust Museum. 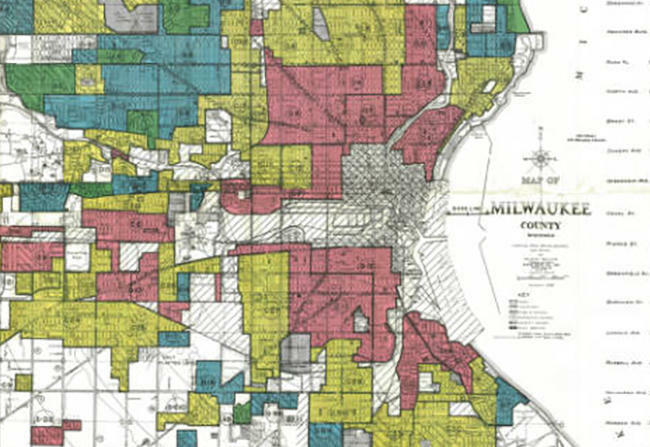 Metro Milwaukee has a segregation problem. It's an issue prominently on display within area schools. Some say, school segregation in Milwaukee as bad today as it was 60 years ago, at the height of the Civil Rights era.